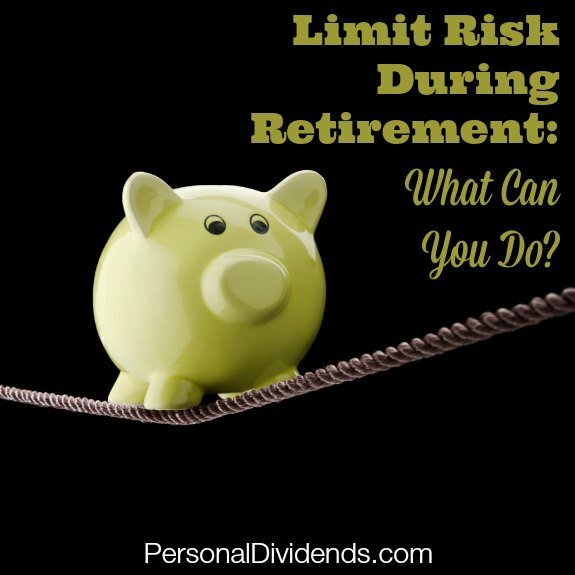 Limit Risk During Retirement: What Can You Do? According to a recent study published by MoneyTips.com, 49 percent of retirees worry about their financial situation. Even though these retirees might be successful, they are plagued with concerns about the future, and whether or not they will live to fight another day with their finances. Running out of money during retirement is a big worry. So, in order to reduce some of that risk, many successful retirees take specific steps to make their money go further. As part of my involvement in The Retiree Next Door movement, spearheaded by MoneyTips.com and FinCon, I wanted to look at some of the ways you can limit your financial risk during your retirement years. 73 percent carry Medicare: One of the biggest risks to your finances during retirement (or anytime, really) is the cost of health care. One hospital stay can wipe out your finances. Carrying Medicare can help protect you against medical costs. 55 percent drive a car at least two years old: Rather than buying a new car every year, or leasing, many retirees drive cars that are a little older. If you can drive a paid-off car around for longer, you won’t have to worry about loan payments and interest. 44 percent spend less than their monthly income: This is Finance 101 right here. In order to reduce your risk in retirement, you need to spend less than your monthly income, and try to avoid reducing the capital in your retirement accounts. Pay attention to your spending so it doesn’t get out of hand. 43 percent own their home outright: If you don’t have to worry about mortgage payments, and you know you have a place to live, that peace of mind can go a long way. Plus, you know that you have a large asset. In a pinch, you can draw on that with a reverse mortgage. 41 percent manage their own personal finance and investment decisions: If you are worried about the state of your finances, it makes sense to be engaged. While you might want to get help from others when it comes to managing your money, you should still be involved, and understand what’s happening. Remember: no one cares about your money as much as you do. 36 percent reduced their living expenses: I found it interesting that this was down the list, but it is a good way to limit risk. If you can reduce your living expenses now, you won’t have as hard a time later, if you run into trouble. Make it a point to live frugally every day, and it’s not a shock to your system later. Plus it gives you some breathing room. 35 percent cut back on extras: If you are really worried about your finances during retirement, you can do like some of the successful retirees in the MoneyTips.com survey and cut out the extras. Cutting back on luxuries like a lot of travel, expensive items, and memberships can help you free up some of your resources and shore up your finances. Some of the other moves that successful retirees make to reduce financial risk include collecting passive income, driving a fuel efficient car, carrying long-term care coverage, downsizing the living arrangements, or continuing to do at least a little bit of work. By combining a few strategies, you can ensure that you remain reasonably comfortable during retirement, without running out of money.